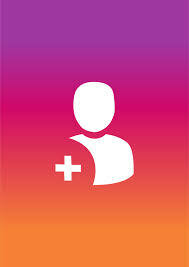 This service will help make your Instagram account more popular. Runtime from 1 to 2 hours (in rare cases, up to 24 hours). Your order you will receive a 100% + 1 month unsubscribe warranty. Bonus you get 1000 likes. This service is given 1 month warranty. If suddenly you have a large percentage of formal replies, send me a chat or email, I will add the right amount for free under warranty. ATTENTION! Before placing an order, your account must be open, do not close the account during the service and do not change the URL address of the link (username). In this case, the service may not be performed. STOCK!!! When ordering any number of subscribers 1000 likes a gift !!!!! - Specify a link to your Instagram account to which you want to add subscribers. - Provide a link to the post for likes. - Choose the number of subscribers you need. - Choose a convenient payment method for you. - After payment, enter the 16-digit code in the chat with the seller to confirm the order. This service will not start until you send a 16-digit code to the chat with the seller.